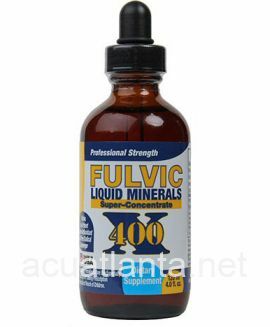 Fulvic Liquid Minerals is a super-concentrated, all natural plant sourced fulvic formula that naturally transports and delivers nutrients directly to our cells. This fulvic formula provides 74+ minerals, 10 vitamins, 18 amino acids and phytonutrients. Without fulvic and humic acids they may not make it to the cells they need to provide nutrition to. Fulvic Liquid Minerals contains fulvic acid or Shikajit, which can boost CoQ10, combat mitochondrial dysfunction-incuded aging, and impact cellular energy.